While “home economics” has long been synonymous with cooking and sewing and considered solely the province of girls and women, the history of home economics—and the current flourishing state of the department that houses it at MTSU—tells a completely different story. Born at MTSU in 1916 as the Department of Home Economics, the Department of Human Sciences encompasses Family and Consumer Studies; Interior Design; Nutrition and Food Science; and Textiles, Merchandising, and Design. Bachelor of science degrees are offered in six different programs of study. What we now know as Human Sciences developed not out of the realm of domestic duties, but out of scientific inquiry. Ellen Swallow Richards, after graduating from Vassar, was the first woman in America to be accepted at a scientific school, and she graduated from the Massachusetts Institute of Technology with a B.S. After working without pay at the Women’s Laboratory she established at MIT, Richards was appointed as an instructor at the nation’s first laboratory of sanitary chemistry at MIT in 1884. In 1887, at the request of the state of Massachusetts, Richards and her assistants at the lab began to survey the condition of the inland waters in Massachusetts, leading to the first state water quality standards in the nation. Richards went on to apply her knowledge of scientific principles to domestic topics and endeavors, and the field of home economics took shape as a science that studies humans and their needs in the areas of food, shelter, clothing, and relationships. 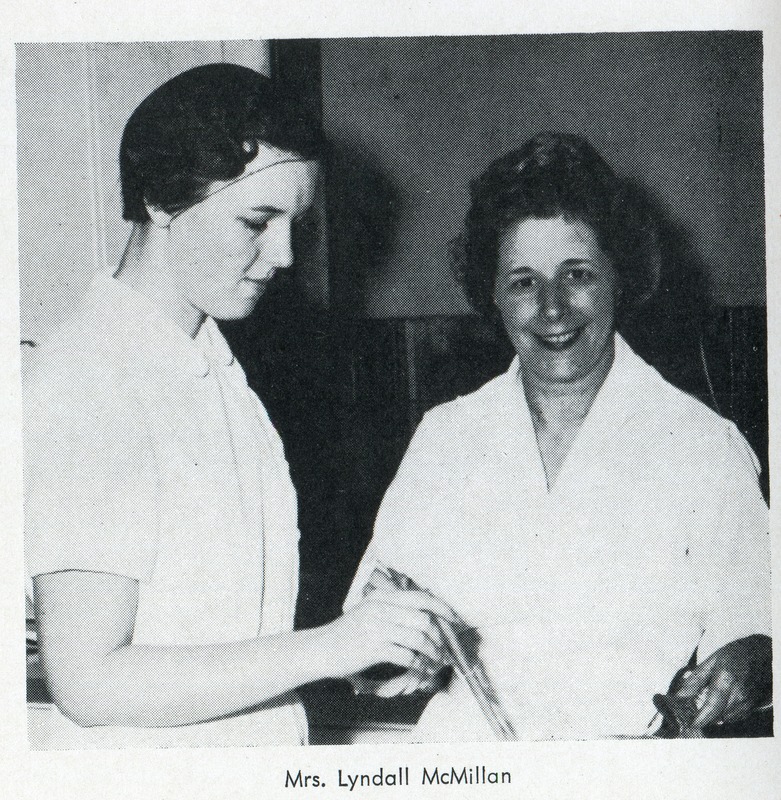 One of the pioneers of home economics and human sciences at MTSU was Lyndall “Lyn” McMillian, who attended MTSU and received her degree in home economics. A native of New York, as a teacher McMillian worked with students at Castle Heights Military Academy, military wives, Wilson County school system students, and finally in the Home Economics Department at MTSU. Retired Health and Human Sciences professor Sondra Wilcox first heard of Lyn McMillian while sitting at a lunch counter in a drugstore in Jackson Heights shopping center. “Two young women were talking, and one commented that they might as well stay—they were already late and would not be able to get into their class because Mrs. McMillian locked the door when class began,” says Wilcox. Wilcox was later invited to a dinner by a student in a nutrition class of McMillian’s. “It was a formal dinner with students serving as hostesses, and formal etiquette was required. While it may seem outdated now, students were learning things— including manners—that would help them professionally,” Wilcox says. As fellow faculty members at MTSU, the two were soon acquainted. “I took home economics in high school and college, but it didn’t really ‘take,’” Wilcox says. “But opposites attract, and we became good friends.” McMillian passed away at age 101 on August 1, 2013. “Lyn McMillian was so professional—an alumna and a faculty member to be proud of,” Wilcox says. Walker’s career trajectory illustrates the wide variety of paths a B.S. from the department might encompass—from an early job in furniture sales, Walker transitioned into managing social media for a company that produces high-end lighting and accessories. After making connections, she went into freelancing and assisting other interior designers with their projects, which gave her a broad perspective on how different designers work. 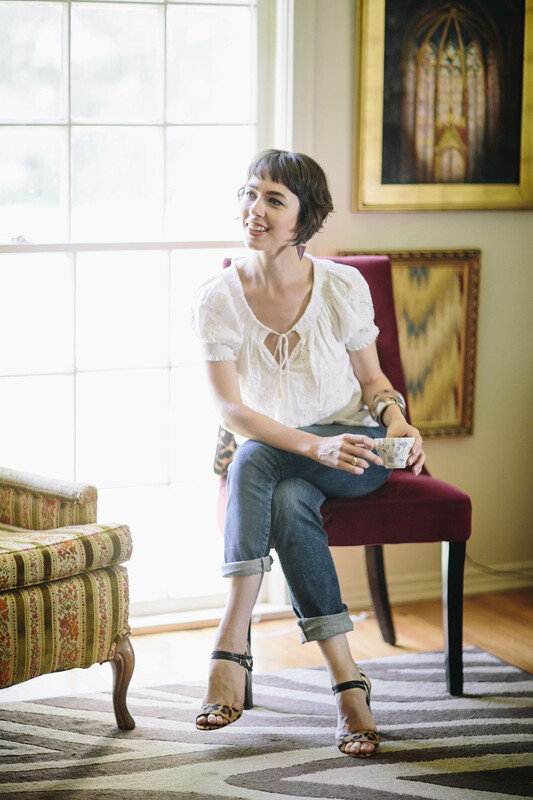 She began working exclusively for Pulp Design Studios in Dallas and became interested in publishing in the design industry. Now she blogs and writes for D Home magazine and is a freelance writer for other companies. She is happy that there is a revival of sorts going on in the field of human sciences as illustrated by TV shows about design and food; fashion, home design, and cooking blogs; and the use of social media such as Facebook and Pinterest to share ideas about subjects previously considered as “home economics” and the province of mostly women. Current department chair Deborah Belcher wholeheartedly agrees. After all, social graces can play an important role in improving the human condition.